Caryn Elaine Johnson, better known as the multi-awarding winning actress Whoopi Goldberg, has launched a medical cannabis joint venture targeting women. Ms. Goldberg has joined forces with Maya Elisabeth; founder of Om Edibles, to sell medical marijuana products designed specifically for women suffering menstrual discomfort. 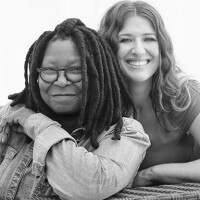 Whoopi And Maya launched earlier this week to much media fanfare. The products currently available – a tincture, a balm, sipping chocolate and a bath soak – contain tetrahydrocannibinol (THC), THC and cannabidiol (CBD), or just CBD. While THC can have an intoxicating effect, it also has analgesic properties. CBD has the latter. “You can put the rub on your lower stomach and lower back at work, and then when you get home you can get in the tub for a soak or make tea, and it allows you to continue to work throughout the day,” said Ms. Goldberg in a Vanity Fair interview. Ms. Goldberg has used marijuana to manage menstrual pain and glaucoma headaches. She says she thought carefully before lending her name to the venture. Currently, the products are only available in California to people with medical marijuana cards. California’s Legislature passed and the state’s Governor signed into law three bills that created a licensing and regulatory framework for medical marijuana in 2015. Conditions covered under California’s program include AIDS, anorexia, cancer, chronic pain, glaucoma, migraine, persistent muscle spasms, seizures and a variety of other conditions and symptoms. Whoopi Goldberg joins a steadily growing list of celebrities jumping on the medical cannabis bandwagon; with the ranks including Snoop Dogg, Willie Nelson and Woody Harrelson. Closer to home, controversial character Kyle Sandilands has also expressed an interest in starting a medical marijuana company – but whether that was said with tongue-in-cheek is hard to tell. Other celebrities endorsing medical cannabis include Barbra Streisand, Oliver Stone, Morgan Freeman, Cameron Diaz, Susan Sarandon and Carlos Santana. Any list would be incomplete without including Thomas Chong; one of medical marijuana’s longest standing celebrity supporters. Cannabis A Treatment For Crack Cocaine Dependence?